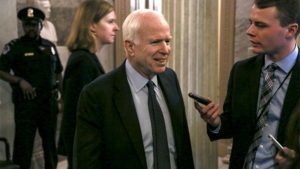 Republican senator John McCain has voiced support to Iranian protesters who took to streets against the clerical rule and corruption in the Shiite country.McCain wrote on Twitter, "For too long, the Iranian people have been oppressed by their government, which cares more about sowing instability abroad than its own citizens. 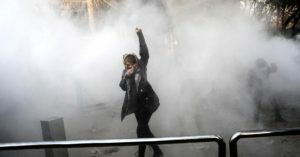 The US stands with the brave protesters who yearn for freedom, peace, and an end to corruption in Iran".The protests that erupted Thursday mainly opposed the economic problems in the country, but it then turned political. At least 11 protesters were killed, and hundreds were injured, most of them seriously. Tirana, Albania, August 12, 2017 – Mrs. Maryam Rajavi (left), the President-elect of the National Council of Resistance of Iran meeting a senior delegation from the United States Senate. 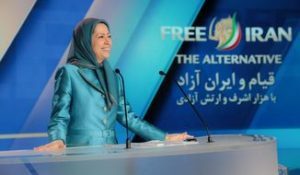 The two sides discussed the situation of members of the Mujahedin-e Khalq in Albania and the recent developments in Iran and the Middle East. 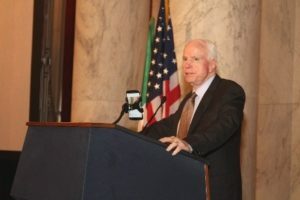 On April 14, 2017, Senator John McCain (R-AZ), the Chairman of the Senate Armed Services Committee, met in Tirana, Albania, with Mrs. Maryam Rajavi, the President-elect of the National Council of Resistance of Iran (NCRI) and discussed the latest developments in Iran, the clerical regime’s nefarious meddling in the Middle East region and prospects for the future. 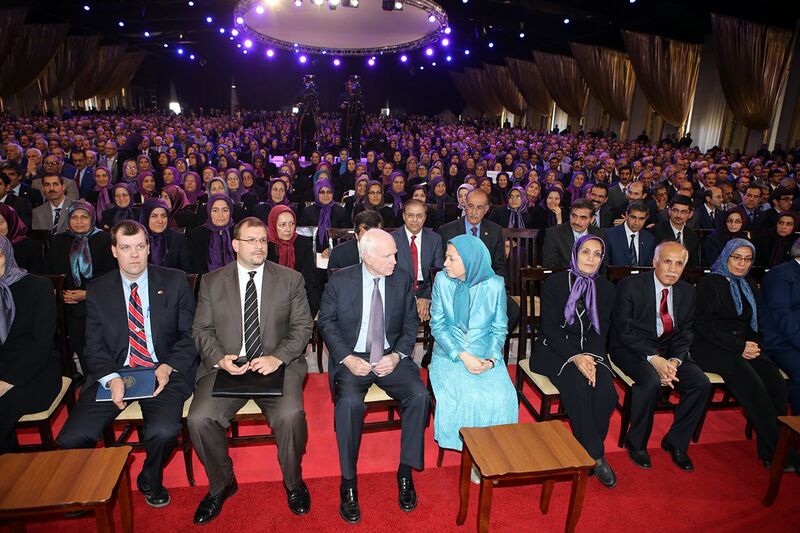 Prior to the meeting, Senator McCain visited one of the centers of the People’s Mojahedin Organization of Iran (PMOI/MEK) in Tirana and met with the PMOI/MEK members who were relocated to Albania from Camp Liberty, Iraq. As an Iranian-American, I dream of one day returning to the land of my birth. 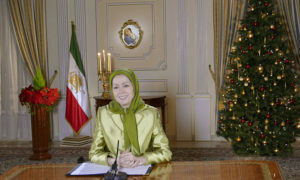 The Iran that I visit will be a place where people are as free as the people of the country that has adopted me. 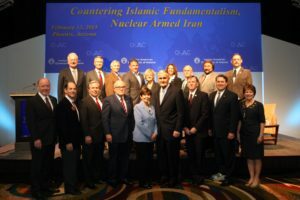 Phoenix conference "Countering Islamic Fundamentalism, a Nuclear Armed Iran," draws major national and state speakers.